The mission of the Hong Kong Philharmonic Orchestra is to inspire and expand musical appreciation in Hong Kong and beyond, and to be a financially secure institution that brings distinction to the music world through its enriching performances and premier international standing. 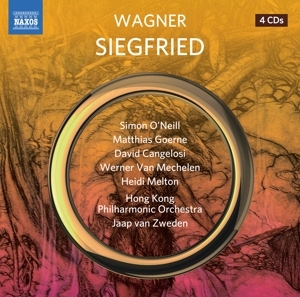 Under Maestro van Zweden, the HK Phil is undertaking a variety of initiatives including a four-year project to perform and record the complete Ring of the Nibelung (Richard Wagner). The Orchestra is in the third of this four-year journey, performing one opera annually in concert. 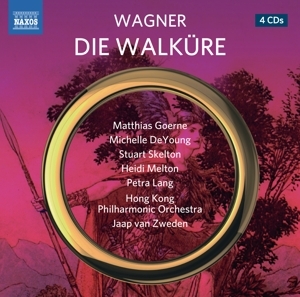 The performances being recorded live for the Naxos label are winning widespread international rare reviews; and mark the first performances by a Hong Kong or mainland Chinese orchestra of the entire Ring cycle. Also under van Zweden, the orchestra has undertaken tours to Taiwan, Europe and Mainland China. The orchestra will undertake an ambitious five-city tour to Seoul, Osaka, Singapore, Melbourne and Sydney in April - May 2017 in celebration of the 20th anniversary of the establishment of the HKSAR. Conductors and soloists who have recently performed with the orchestra include Yo-Yo Ma, Vladimir Ashkenazy, Ning Feng, Matthias Goerne, Lang Lang, Yu Long, Yundi Li, the late Lorin Maazel, Anne-Sophie Mutter and Yuja Wang.